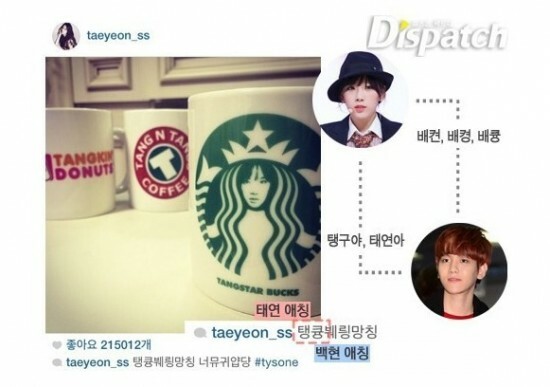 Media outlet ‘Dispatch‘ has dropped quite the news today as they have unleashed their exclusive report pertaining to an alleged relationship between SM Entertainment artists EXO‘s Baekhyun and Girls‘ Generation‘s Taeyeon! ‘Dispatch’ says that the two have been dating for 4 months now in the utmost secrecy. It’s said the reporters from the media outlet first spotted them while EXO was practicing for their first concert. Taeyeon provided moral support for the exhausted Baekhyun, who had to spend nights practicing due to the group’s redoing of their choroegraphy and recording with Kris ‘s lawsuit. 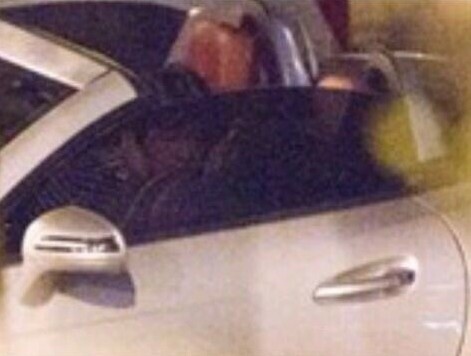 Taeyeon headed towards Baekhyun’s dorm and picked him up at a discreet location and enjoyed a date in the car. ‘Dispatch’ says they also spotted the two on several dates including before the concert as well as after the concert on the 26th and on the 28th before Girls’ Generation’s leave for Japan. 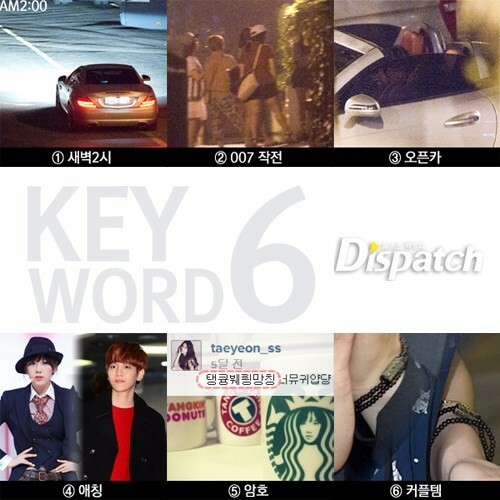 Baekhyun would also meet Taeyeon near her dorm as well. Stay tuned for updates including a statement from SM! Congratulations to the labelmates and now couple! !